Head-to-head: PV Sindhu leads Nozomi Okuhara 7-6 in the previous 13 meetings. 2.02 pm: Sindhu never really found her footing in this match and Okuhara simply bulldozed her way into the final against Tai Tzu Ying. Another disappointing defeat for Sindhu this year as she continues to struggle for consistency. MATCH OVER, Sindhu 7-21, 11-21 Okuhara: The most one-sided match in their epic rivalry as Okuhara blows Sindhu away in 37 minutes. The second seed converts her first point. Second game, Sindhu 7-21, 11-20 Okuhara: Sindhu reaches double figures as Okuhara uses up her referrals for the game. A superb overhead smash gives Okuhara 9 match point opportunities. Second game, Sindhu 7-21, 8-19 Okuhara: A Sindhu-esque leave at the baseline by Okuhara gives a point to Sindhu that is followed by a high tempo rally that is right up Okuhara’s alley. Sindhu goes one better than the opening game with her 8th point of the the second game. Okuhara quickly takes back the serve. Second game, Sindhu 7-21, 5-16 Okuhara: Five straight points since the break for Okuhara and this is looking a lost cause for Sindhu. Abhijeet Kulkarni: More than the quality of strokes, its the speed of the rallies that Okuhara is maintaining that is troubling Sindhu. She is clearly out of her depth here. Second game, Sindhu 7-21, 5-11 Okuhara: Another long rally. This time 41 shots and Sindhu makes an error of judgement on the back line. 9-4 for Okuhara and then another misjudged leave by Sindhu (needs a referral from Okuhara). Another quickfire rally ends with Sindhu netting a smash. Just like that, what seemed like a tighter game sees Okuhara take a 6-point lead at the break. Not looking good for Sindhu. Second game, Sindhu 7-21, 4-6 Okuhara: Much more even to start the second game and Sindhu is keeping with the tempo of Okuhara. A quick-fire rally ends with Sindhu misjudging a push from Okuhara and the latter has a 4-6 lead. Second game, Sindhu 7-21 2-3 Okuhara: WHAT A RALLY! Now, that’s more like it. This is what we have come to expect from these two as they engage in a 48-shot rally. Sindhu wins it with a crosscourt smash and Okuhara has a wry smile on her face. First game, Sindhu 7-21 Okuhara: It’s over in no time as Okuhara runs away with the opener 21-7. A point or two here and there for Sindhu but nothing much else to write about. Okuhara all the way. First game, Sindhu 4-16 Okuhara: Series of unforced errors from Sindhu and she trails 4-16. The commentators are talking about whether off-the-court distractions are proving too much for Sindhu these days. First game, Sindhu 3-11 Okuhara: Good referral from Okuhara gives here a 10-2 lead after a late call by the linesman gave Sindhu the point. A superb (short) rally follows that ends with Okuhara sending the shuttle wide. Sindhu has the serve back and she misses the lines once again with an attempted drop shot. Massive lead at the interval for Okuhara. First game, Sindhu 2-9 Okuhara: Oh, unlucky Sindhu. She’s called for a net-touch but replays show that wasn’t the case. Nothing going here way. And then, she plays the best point of the match so far, constructing a good rally and finishing it off with a crosscourt overhead. First game, Sindhu 1-7 Okuhara: The Japanese with a powerful body smash for a 5-0 lead and then Sindhu finally gets on board. The Indian has not got her radar right so far as another down the line smash misses the line. She nets a lift after a good rally in the next point. Six-point lead for Okuhara. First game, Sindhu 0-3 Okuhara: A typically fast start from Okuhara, moving Sindhu around the court. After looking sluggish in the first two points, Sindhu finds her footing in the third rally but an unforced error sees Okuhara take a 3-0 lead. 1.21 pm: Having played a few marathon matches in the past, the last three matches have ended in straight games with Sindhu winning the last two. Can she build on that record? Incidentally, 8 of the 13 meetings have gone the distance between these two. 1.18 pm: Sindhu needed just under an hour to beat China’s Cai 13-21, 21-17, 21-14. However, chances of an all-Indian semi-final were shattered even before the Rio Olympics silver medallist took the court as Nehwal was no match for Okuhara in the 36 minute quarter-final encounter that ended 21-8, 21-13. 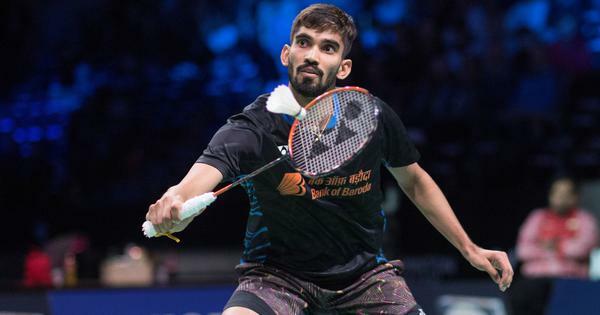 Sindhu will now face Okuhara for a spot in the final, with the chances of an all-Japanese final being ended by Tai Tzu Ying. 1.15 pm: The first semi-final between Tai Tzu Ying and Akane Yamaguchi was a complete entertainer with the world number one having to save five match points in the second game before registering a 15-21, 24-22, 21-19 win in 57 minutes. 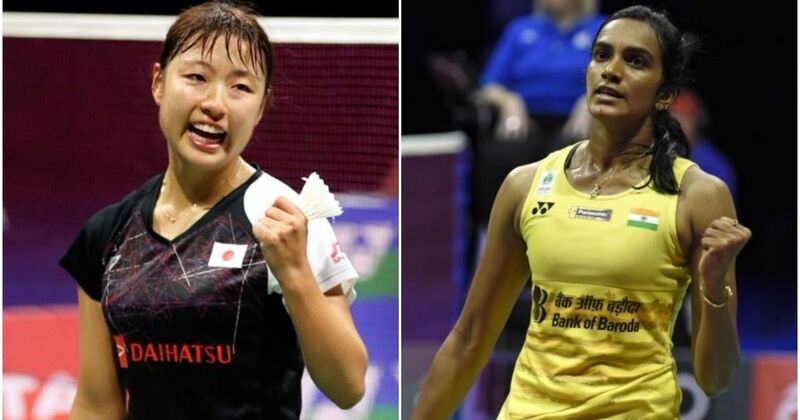 PV Sindhu is gunning to reach her first final of 2019 when she takes on former world champion Nozomi Okuhara of Japan in the second semi-final of the Singapore Open Super 500 on Saturday. The world number 6 Indian had been in good form in the tournament winning her opening two rounds rather easily before being pushed to three games by China’s Cai Yanyan in the quarter-finals. Okuhara, on the other hand, bulldozed through Saina Nehwal’s challenge in the last eight. But both players have played long matches in the past and would be prepared for another marathon encounter. Here is the report of the quarterfinal encounters.